Wary of proprietary systems in buildings, Kurt Twiford, adopted open, non-proprietary system solutions as a founding principle of Conexus. This is coupled with a rigorous US Army Corps of Engineers commissioning protocol to an unwavering commitment to excellent solutions. Few systems integrators have been dedicated to this philosophy in building automations as long as Conexus. No programming tools, passwords or software are withheld. Kurt believes that everyone should have the flexibility to choose their system integrators, so that every client is left with the tools necessary to operate, maintain and expend their system independent of a specific service provider or vendor. Closed systems may be more affordable initially, but they limit who can provide service and can be expensive to maintain long-term. Open systems are a bit more complex to develop upfront, but allow customers to mix and match software and hardware components and freely choose who they work with over time. Army Corps of Engineers close-out (commissioning) procedures is standard to ensure that every single element of the system is verified to work properly before the project is turned over to the owner. As a result, Conexus projects experience significantly less warranty expenses. Conexus has a 20+ year legacy of helping clients leverage technology within their building to transform environments and bringing a near-obsessive focus on developing long-term customer relationships. With over 20 years of experience in commercial contracting, Kurt has always been interested in how environments contribute to productivity, comfort, and safety in the workplace. This, coupled with his passion for open-source technology, drove him to found Conexus in 2005—so that he could help clients leverage technology within their building to improve business. Previously, Kurt was a Vice President of Alexander Constructors, Inc. in Harrisburg, PA and Senior Estimator/Project Director at R. M. Shoemaker Co., in West Conshohocken, PA. Kurt has a Bachelor of Science in Civil and Environmental Engineering (BSCE) from Bucknell University and an MBA from the Darden Graduate School of Business Administration, University of Virginia. Kurt unwinds by cycling, skiing, and recently added a new hobby—refurbishing his 1974 MGB. He also looks forward to spending time with his family and ‘slaying’ fish off the coast of South Carolina. Seth’s aptitude as a team leader in combination with his “do it right” attitude and 15 years of broad experience in the electrical field guarantees quality customer service to our clients. 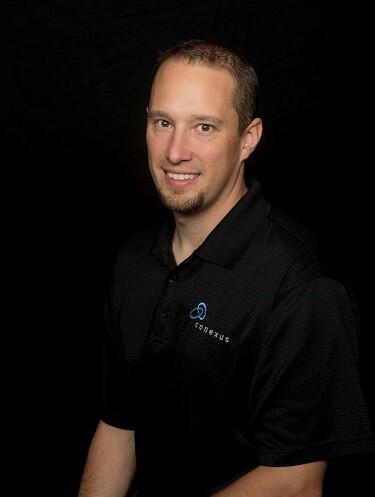 Joining Conexus as an installer, he quickly advanced to a project foreman, then project manager and currently serves as Director of Operations. As Director of Operations, Seth is responsible for ensuring that all Conexus operations, both construction and service are completed safely and in compliance with the contract, budget and project schedule. Seth is energized by working with his team to develop plans that make Conexus projects successful and build long-term relationships with customers. Outside of Conexus, Seth can be found either fishing or racing and refurbishing cars. Currently, his favorite project is trying to entice his daughter to become his new fishing partner. 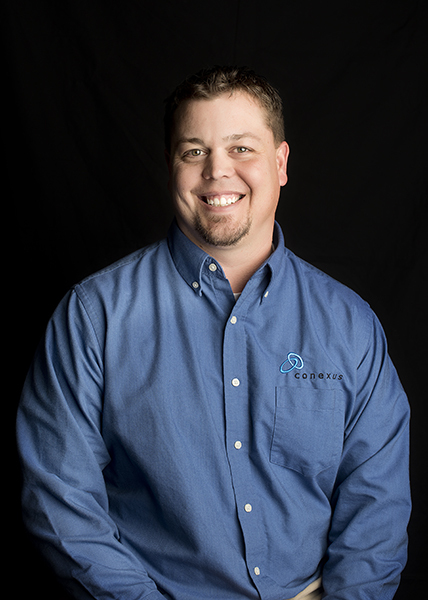 Kyle spearheaded the service department at Conexus after spending several years, programming, commissioning, and supervising installation of projects. As the manager of service and advanced services, Kyle is responsible for growing the preventive maintenance and service business as well as providing Conexus Advanced Services to ensure quality control through energy management, commissioning, and asset management. Kyle most enjoys collaborating with his team to find creative solutions to customers’ issues and then watching as the solution comes to life. Kyle’s commitment to excellence extends well beyond Conexus as a practitioner of martial arts and a Spartan race trainee. He also enjoys downtime at his hunting camp in the Poconos. Ryan’s experience with Conexus naturally positioned him to step into the Service Manager role. 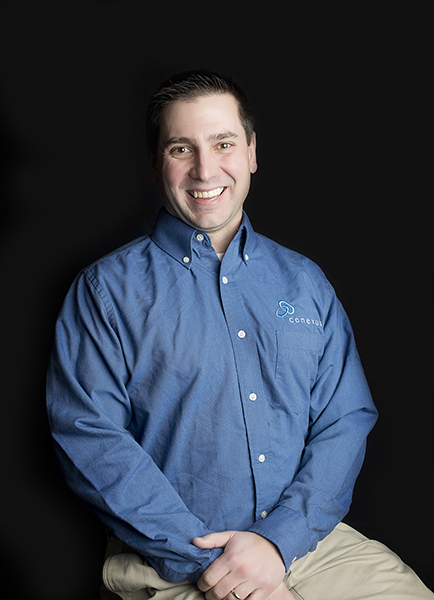 A member of the Conexus team since he graduated from the Electronics Institute in 2001 with an Associates degree. He began as a Construction Tech and later moved into a Service Technician role. Ryan enjoys the freedom to come up with solutions for clients and the excellent in-house technical resources to tackle complex challenges. Ryan and his wife are expecting their first child. In his spare time, soon to be much sparer post-baby, he enjoys target shooting and spending time with friends. 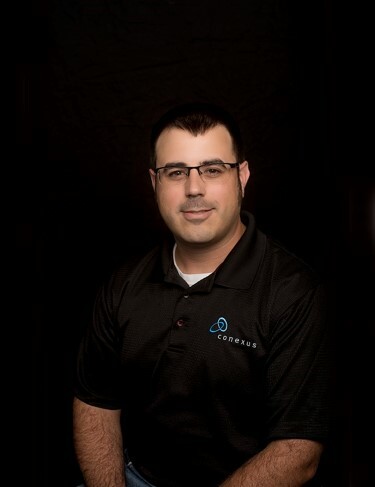 As the Manager of Facility Management Solutions at Conexus, Rusty brings an arsenal of certifications and trainings to the team, thus helping to keep Conexus in the foreground of the building automation industry. Rusty is a graduate of York Technical Institute where he majored in Heating, Ventilation, and Air Conditioning. Rusty most enjoys how Conexus empowers their employees through leadership that allows flexibility and the freedom to be innovative, creative and customer-focused. When not working, Rusty loves spending time with his wife and daughter and being outdoors. Rusty lives by the quote, “Try not to be a man of success, but rather try to become a man of value.” – Albert Einstein. Christopher credits culture and the leadership team as the main reason he joined Conexus. Christopher credits culture and the leadership team as the main reason he joined Conexus. 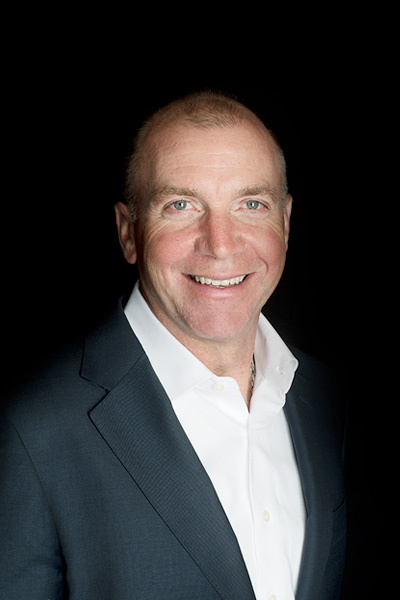 His experience in general construction and business development is the perfect combination to ensure Conexus’ clients are being served the Conexus way. Christopher’s passion for Making Life Better inside and outside of the work place energizes those around him and motivates him to ensure the best for Conexus and their customers. Christopher currently serves as a LEAD committee member for Leadership Lancaster. 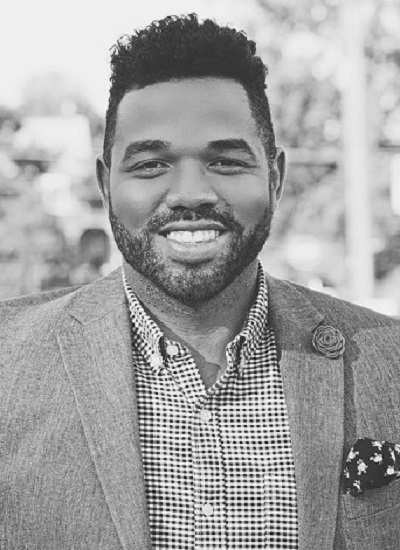 He also serves as a board member for Penn Manor Rec Basketball, as Vice President for Bethany Christian Services and is founder of The Anderson Lewis Project. Outside of work, Christopher enjoys playing basketball, photography, traveling (mostly to his second home in Costa Rica) and spending time with family and friends. Ava currently ‘works’ in Leigh and Kurt’s office where she serves as the Cultural Ambassador, but she regularly makes her way to the warehouse where she receives biscuits from the manager. Ava is a Pit Bull/Rhodesian Ridgeback mix and leads a good life, but it didn’t start out that way. Around the age of two, hikers found her chained to a dumpster in a York, PA, park. Weighing only 25 pounds—less than half her healthy weight—she was near death. The hikers called the York SPCA who helped her recover. She was then adopted by Jason Robinson, a Conexus Service Technician, where she lived happily for two years. Sadly, Jason’s daughter was born two years later with a severe dog allergy. That is when Ava found her forever home with Kurt, Leigh, and their two children. There are, however, joyful reunions regularly when Jason is in the office! Ava is not only the Conexus Cultural Ambassador but also became the face of Pit Bull abuse at York SPCA. 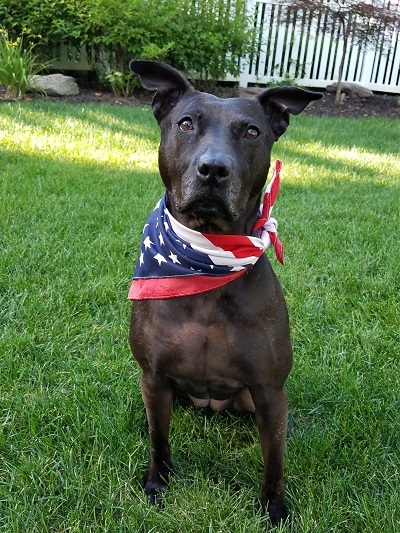 She has her own Facebook page with nearly 8,000 friends and helps other dogs just like her find their adoptive families.